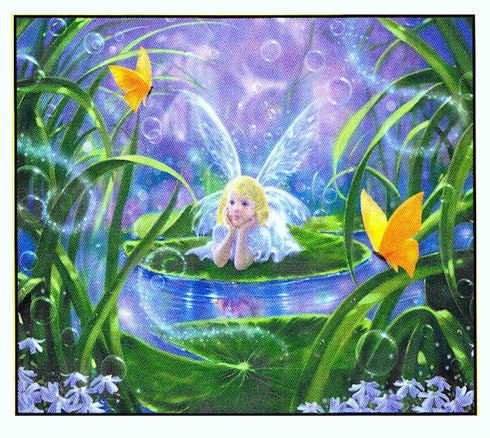 This puzzle recreates 100 pieces of the cutest fairy daydreaming on a lily pad. Surrounded by her butterfly friends & magical bubbles that remind me of Willy Wonka. Enjoy! This puzzle measures 15.5X18" This puzzle is Eco-Friendly and printed with Soy-Based Inks on Recycled Board. Proudly made in the USA.